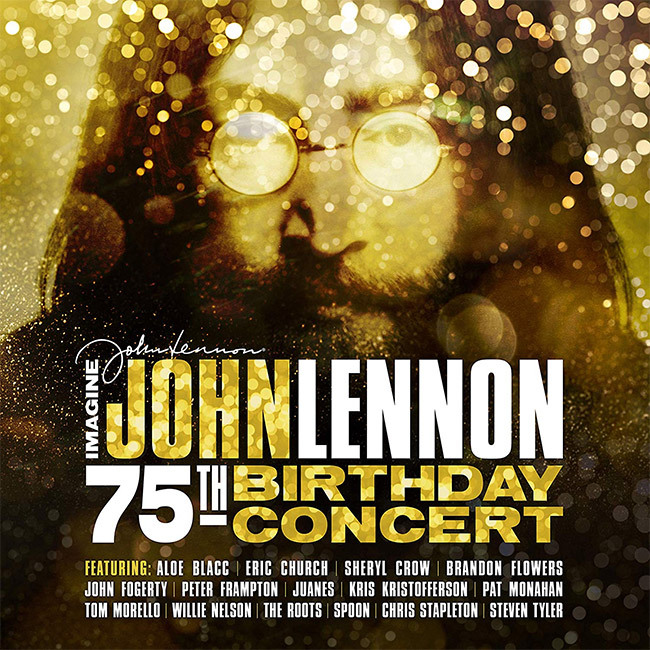 Blackbird Presents announces Imagine: John Lennon 75th Birthday Concert on 2 CD, 2 LP and 2 CD/DVD for January 18th. The concert film and music release features a collection of legendary singers and superstars who came together for a once-in-a-lifetime concert event taping in New York City at The Theater At Madison Square Garden to celebrate the songs of music icon John Lennon. In addition to the CD/DVD/LP, fans can also get exclusive merchandise bundles that include T-shirts, hoodies, pint glasses, and a guitar pick necklace at the Blackbird Presents shop.